Residents and officials in major U.S. cities know it doesn’t take a fierce storm or menacing hurricane to cause flooding as they increasingly have to deal with so-called “nuisance flooding” caused by rising sea levels. 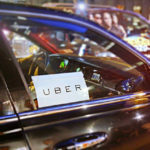 Eight of the top 10 U.S. cities that have seen an increase in nuisance flooding –which causes such public inconveniences as frequent road closures, overwhelmed storm drains and compromised infrastructure–are on the East Coast, according to a new National Oceanic and Atmospheric Administration (NOAA) report. This nuisance flooding, caused by rising sea levels, has increased on all three U.S. coasts between 300 and 925 percent since the 1960s, the report says. The report, “Sea Level Rise and Nuisance Flood Frequency Changes around the United States,” finds Annapolis and Baltimore, Maryland, lead the list with an increase in number of flood days of more than 920 percent since 1960. Atlantic City, New Jersey; Philadelphia and Sandy Hook, New Jersey are next on the list of most frequent nuisance flooding locations. 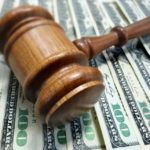 Port Isabel, Texas, along the Gulf coast, ranked sixth, with an increase of 547 percent, while nuisance flood days in San Francisco increased 364 percent, placing the city ninth. 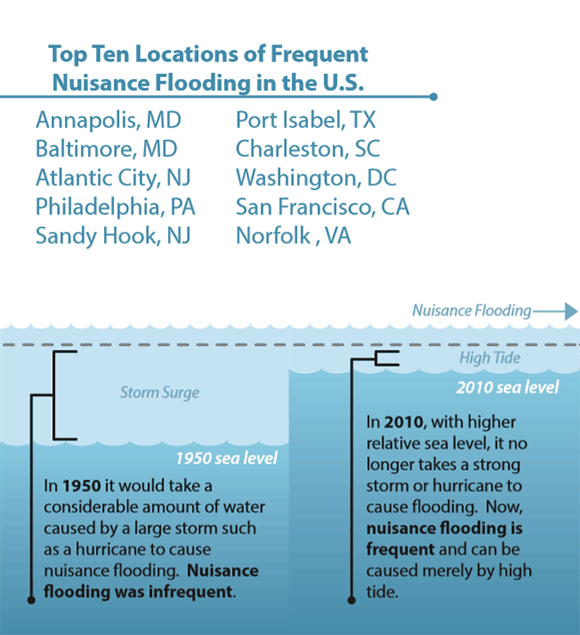 Other cites on the top 10 list of frequent nuisance flooding are Charleston, South Carolina; Washington, D.C.; and Norfolk, Virginia. “Achieving resilience requires understanding environmental threats and vulnerabilities to combat issues like sea level rise,” said Holly Bamford, Ph.D., NOAA assistant administrator of the National Ocean Service. She said the nuisance flood study provides the information that can guide coastal resilience efforts. The study was conducted by scientists at CO-OPS who looked at data from 45 NOAA water level gauges with long data records around the country and compared that data to reports of number of days of nuisance floods. Nuisance flooding events have increased around the U.S., especially off the East Coast. 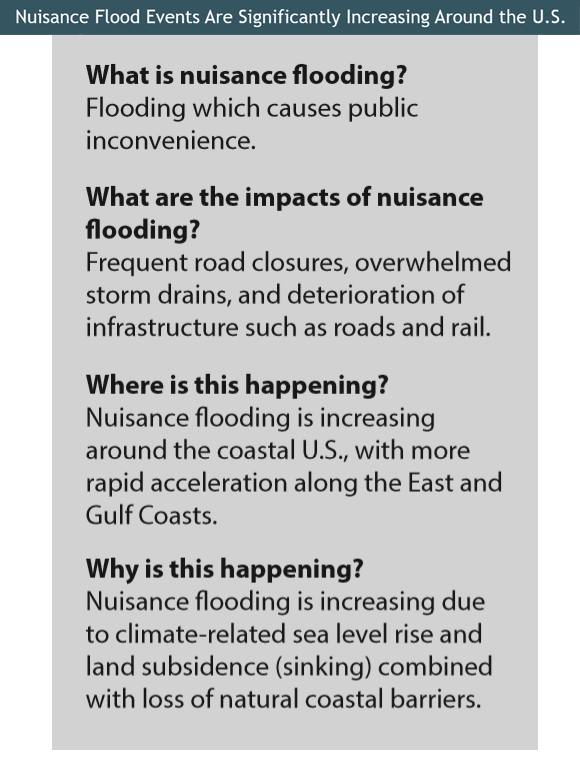 The extent of nuisance flooding depends on multiple factors, including topography and land cover. 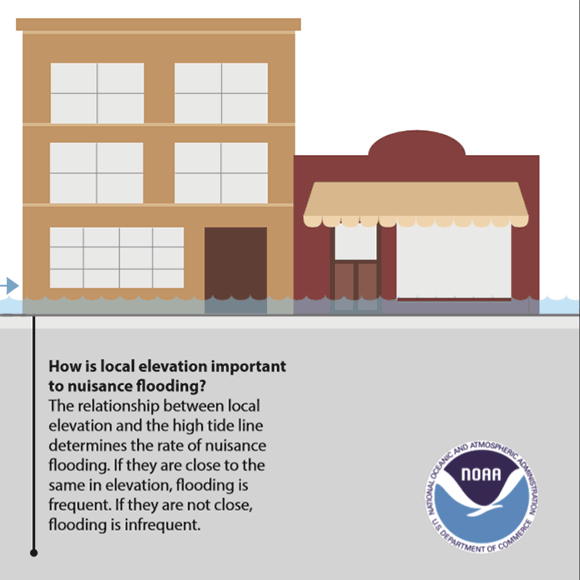 The study defines nuisance flooding as a daily rise in water level above the minor flooding threshold set locally by NOAA’s National Weather Service, and focused on coastal areas at or below these levels that are especially susceptible to flooding. According to the NOAA scientists, any acceleration in sea level rise that is predicted to occur this century will further intensify nuisance flooding impacts over time and will further reduce the time between flood events.